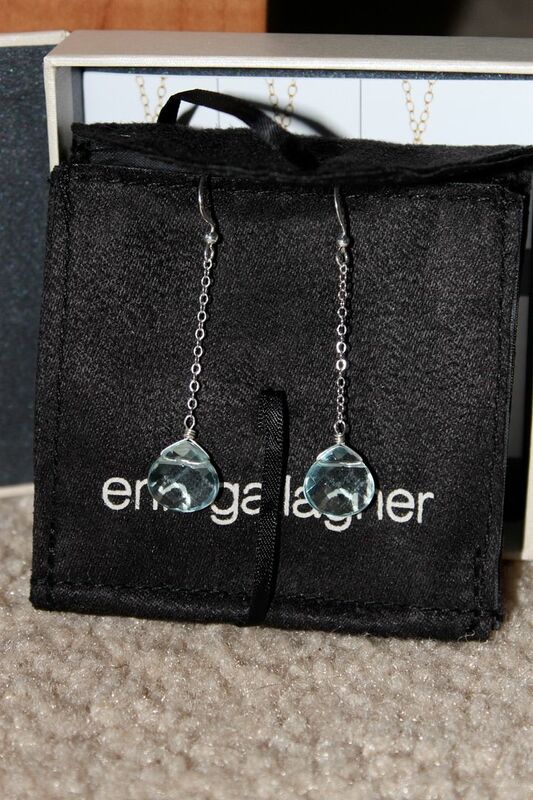 Here it is you guys, the giveaway item for September is a pair of Meg earrings from Erin Gallagher Jewelry. You can see them on Erin's website here! How do you get entered to win these you ask? It's easy!! Just do 2 things for me. 1). Follow my blog! If you haven't done so already click on the follow button to the right side of the page just below the "about me" section. It's super easy and only takes a minute to enter your email address! 2). Leave me a comment under this post that includes your email address! It's the followers that come back often and leave me comments that I want these to go to!! Good luck everyone! A winner will be announced on September 30th! Those are beautiful and I follow this blog weekly!! I'm not a mom, but I love this blog and always look forward to new posts! My new favorite blog for fashion advice! Just found your blog and lovin it! I'm about to become a young new mom (due date in 9 days...can you hear me screaming from there?) and I love what your 'about me' says regarding NOT becoming a sweat pants mom :) I'm right there with ya! OMG I LOVE those earrings! They are beautiful! I check out your blog almost everyday and have to admit, a lot of your posts inspire me! I have purchased many "Stilettos & Diaper Bags" inspired pieces since you've begun blogging!! I am not sucking up to win, well ok, maybe a little...but its totally true nonetheless! ;) Off of the top of my head I've purchased at least one top (it was a "I want what she has" top) and several S&DB inspired pieces - 2 pairs of sandals, 2 pairs of earrings and a necklace....does this make me insane?? LOL! I will say every month when my roommate and I get our shoedazzle shoes we thank your blog haha!! Already a follower and you know I love your blog!! Ohhh I love these earrings! And your blog, of course :) I read it every day! Lisa, love the blog! The earrings are totally gorgeous! LOVE the earrings!!!! So pretty!!!! Love these earrings, then again I love all EG jewelry! I'm a new follower...found you today from Surviving Motherhood. I follow you!! These earings are adorable. Loving the blog. And giveaways? Now, you are getting all smart and business saavy! Lisa, Thanks for finding me at La Maison Boheme. Love your blog. I'm a follower now! Cheers and I'll be back for more! Hello Lover!! Those earrings are calling my name! let me win something for once.